From the author of the New York Times best-selling Pretty Little Liars comes a killer new series, The Lying Game. My perfect life was a lie. Now I'd do anything to uncover the truth. Not long ago, I had everything a girl could wish for: amazing friends, an adorable boyfriend, a loving family. But none of them know that I’m gone - that I’m dead. To solve my murder, my long-lost twin sister, Emma, has taken my place. She sleeps in my room, wears my clothes, and calls my parents Mom and Dad. And my killer is watching her every move. I remember little from my life, just flashes and flickers, so all I can do is follow along as Emma tries to solve the mystery of my disappearance. But the deeper she digs, the more suspects she uncovers. It turns out my friends and I played a lot of games - games that ruined people’s lives. Anyone could want revenge...anyone could want me - and now Emma - dead. 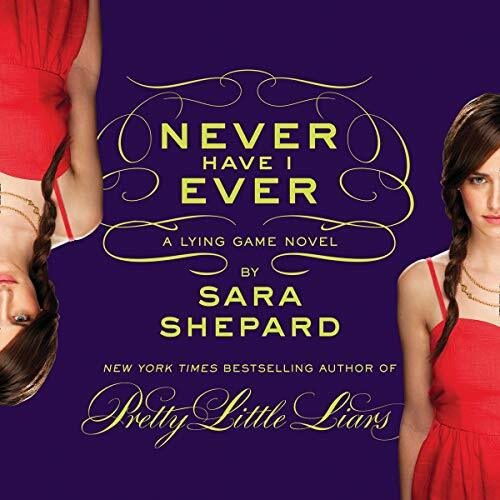 From Sara Shepard, the number one New York Times best-selling author of the Pretty Little Liars books, comes a riveting new series about secrets, lies, and killer consequences.